The frontier was in fact a very local phenomenon, the disputed area being the very land each settler lived upon. The enemy was not on the other side of neutral ground. The frontier was represented by the woman who lived near by and was shared by her Aboriginal partner with a European or Europeans. It was the group living down beside the creek or river, it was the ‘boy’ used as guide for exploring parties or for doing jobs now and then. The ‘other side of the frontier’ was just down the yard or as close as the bed shared with an Aboriginal woman. It is this shared domestic frontier that Bruce examines in The Longing: a paradoxical space that was intimate in terms of physical proximity and yet at the same time also a yawning gulf. Ellis MacRorie is a young Scotswoman, who had been shipped off to marry the older, dour Alexander MacRorie, a pastoralist in the Western District of Victoria. The homestead is one of the grand mansions described by Margaret Kiddle in her wonderful (if flawed) Men of Yesterday, where shearers and workers mingled with the aboriginal servants and farm labourers. Leerpeen Weelan, known as Louisa, is one of these domestic servants, and in her loneliness and unhappiness, Ellis believes that Louisa is a confidante and friend. Leerpeen keeps her distance, impassive and silently mourning the loss of her daughter, her tribe, and her country, and rather derisively judging the infatuation that develops between Mrs MacRorie and the American artist Sanford P. Hart who comes to stay at Strathcarron homestead. Surely we have all moved on from then and can see the value in having multiple voices?…We have a shared history, which is not the preserve of only one group, and so to go back to a time where political correctness decrees who is allowed to write from particular points of view is anathema. I’m not sure that it’s the preserve of one group alone to make this decision. I personally am not comfortable with the glib ‘move on’ attitude that this quotation (which may well be out of context) suggests. Perhaps, as Kate Grenville found with The Secret River, Candice Bruce may find the commentary that a writer generates as part of the publicity round can overtake the work itself. But does it matter what an author says about how they approach their work? After all, works of art existed before and long outlive all this publicity flummery that is frothed up by modern marketing. In the final analysis, a book should stand or fall in its own right, (shouldn’t it?) irrespective of the author’s intentions or personality- although I’m not sure that the two can always be disentangled. I am, however, aware that trepidation over the presentation of Aboriginal characters in some ways maintains “otherness” and that fear of causing offence causes the Aboriginal presence in Australian historical fiction to be sidestepped altogether. I don’t know how you get over that- or indeed whether it is possible or presumptuous to attempt to do so. I’m mindful of Paul Keating’s exhortation in the Redfern speech about “our failure to imagine” the murder, child theft, discrimination and exclusion faced by Aboriginal people if it happened to us. Perhaps this book is what this “imagination” looks like. The author says that she was encouraged to write this book by Vicky Couzens, a well-known Gunditjimara author from the Western District in which this book is set, who assured her that any controversy would be short-lived if she wrote with accuracy and respect. I think that Bruce does both these things, but the wariness that she dismisses as “political correctness” exists on both sides, and for good reason. Leaving aside the question of the wisdom of adopting an aboriginal narrative perspective, how well does she do it? As well as giving her encouragement, Vicky Couzens also gave Bruce a copy of the Dictionary of Keerray Woorong and Related Dialects, and perhaps this exemplifies the approach that she takes in presenting Leerpeen’s voice. There are words, naming and labelling, but there’s none of the rise and fall and flow of Kim Scott’s language in That Deadman Dance, or Alexis Wright in Carpentaria. Words, but not language. The second narrative arc of this story involves the young art curator Cornelia Bremer who, 150 years later, is researching an exhibition on S. P. Hart for the National Gallery of Victoria. When the lead researcher is involved in a car accident, she is dispatched to Strathcarron to evaluate the suitability of an S.P. Hart painting in the possession of the MacRorie family who still live in the family homestead, which is falling into disrepair. She stays with the family for a couple of days, learning of the jealousies and rivalries among the remaining family members, and uncovering art work and provenances that are completely unknown to the art world at large. Here Bruce is on surer ground, because she is herself an art historian who curated the Eugene von Guerard exhibition at the National Gallery of Australia in 1979-80 and contributed to the catalogue of the more recent ‘Nature Revealed’ touring exhibition at the National Gallery of Victoria in 2011 (currently on show at the National Gallery in Canberra until July 2012). On Candice Bruce’s own website, she shows the images in particular that inspired her, most especially the paintings of Lake Purrumbete and the homestead. In this regard, I was reminded of Robert Dowling, who also worked as a travelling artist, moving from property to property painting homesteads and livestock as a way for settlers to celebrate their good fortune. When Bruce writes about the excitement of hunting down and reading handwritten correspondence and diaries, and uncovering artwork unknown to the academy, you know that she is writing from first hand experience. I recognize the wealth of research that underpins this book, because I’ve read much of it myself, but it weighs the book down. There is a slightly didactic tone to the present-day section, especially in relation to issues over aboriginal artwork and heritage. The addition of a thwarted extramarital affair added a discordant, even somewhat chick-litty note that made me squirm a bit. The juxtaposition of these three stories- Leerpeen and her stolen daughter and lost country, Ellis MacRorie and the painter, and Cornelia the art investigator – traverses 150 years. Bruce emphasizes common humanity and the universality of love and loss, but in so doing hits a few false notes. I found myself becoming tired of the frequent flashbacks, and some of the dialogue, particularly in the present-day section was weak. I enjoyed the section written as Ellis’ diary, and overall enjoyed the historical 1855 thread more than the present-day one. As a piece of historical fiction, it works well. It fleshes out those images of the past that are so often formed by film and television, and in this case it draws our attention to colonial domestic relationships that are often overlooked completely. There was, after all, a market for those mission-trained Aboriginal girls (for example, the Cootamundra Domestic Training Home for Aboriginal Girls), yet there is little acknowledgement of their presence. The imaginative space that historical fiction provides can be one where the imagination that Keating called for can work on us. In this regard, the book succeeds admirably. What Bruce does really, really well is landscape, and here her art historian strengths come to the fore. Her descriptions of landscape are so evocative that you can see it as a painting in your mind’s eye. It’s as if she helps you to ‘frame’ the country yourself, while at the same time reminding us of the aboriginal sense of country, exemplified by the Deborah Bird Rose quote at the start of the book. Vicky Couzens told her to be accurate and respectful. Candice Bruce gives us accuracy in spades: the depth of research in this book is prodigious, and she brings a wealth of professional experience to the present-day component of the book. Respectful- yes, I think that she is, but I don’t know that I’m the person who can make that judgment. 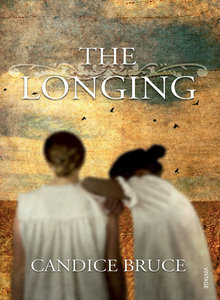 Read because: Lisa at ANZLit Lovers reviewed it, and I like books set in Colonial Victoria. Hi Janine, I guess this is where your historian’s eye brings a different perspective to this book. Without that background I feel you are perhaps a little hard on it, (we surely can’t expect all authors to be as brilliant as Kim Scott!) but yes, the whole issue of voice is indeed a tricky one. Appropriating a voice can offend, but wariness often means omission, and the ‘invisibility’ of indigenous people often offends too. (I’m currently reading ‘Heroic Australian Women’ and have been quite irritated by the way Aboriginal women have been treated in that book). But maybe there is no ‘right way’, only good will and tolerance for well-intentioned efforts? Yes- the tension between on the one had being frightened that you will cause offence, and yet on the other hand wanting not to ignore is a difficult one. I think that the intention is sound: Leerpeen is a strong presence in the book. I wonder if it would have been possible to do with without writing from her perspective. Again, I don’t know. Great review Janine – so thorough. The issue of appropriation of a colonised voice by the coloniser is a touchy one and Critchett’s assertion that we’ve all moved on is trumped in a moment when reading Aboriginal blogs and activist material. It’s a wish of the dominant culture – not necessarily a reality and most Aboriginal people I know would be deeply offended by the statement. Culturally it’s a big leap to move away from a western privileged view of the world to truly imagine what it must be like to live inside the skin of someone who is working for the people who are decimating their culture. I don’t think we non-Aboriginal folk have a comparable experience to draw on. In the literature I’ve read there is a resonance and rhythm to narrative written by Aboriginal writers that I have yet to see successfully mirrored by a non-Indigenous writer. The gap exists and I think it wiser to be wary and respectful of it than to pretend it’s not there at all. Thanks Kate. I just want to clarify- it was the author Candice Bruce who made the “move on” quote- not Jan Critchett. I agree- it’s quite a different matter for the dominant culture to decide that we’re moving on. I did think, however, that she explored grief well from the viewpoint of our shared humanity. But it was a ripping yarn – all parts of it – and I learned heaps.